New River Land Trust plays an important role in connecting local youth with the beautiful land around them. 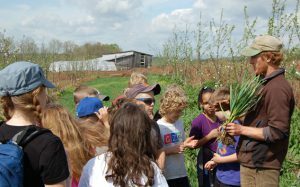 Our educational outreach focuses on four important areas: Conservation Connections in Cultural Heritage, Local Food and Farm to Table Initiatives, Water Quality and Habitat Diversity, and Nature Play and Environmental Appreciation. Our youth education outreach is designed to inspire students to value their natural surroundings and to foster responsibility and stewardship of farmland, forests, and watersheds. The New River Land Trust partners with the Lifelong Learning Institute to offer field trips and seminars related to the outdoors and conservation topics. 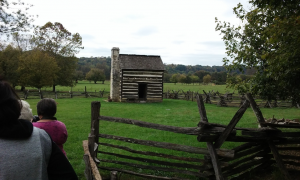 LLI members have visited the Ingles Ferry Farm and Tavern, the historic McDonalds Mill in Catawba Valley, went to a farm where habitat is being restored for the Northern Bobwhite, and visited the Hahn Easement to explore the research and restoration projects going on there. In Spring of 2019, we’ll visit the Bixler easement, where Glade Road Growing is located, and get a tour of the farm. Upcoming Adult Education trips and activities can be found in our events calendar. The New River Land Trust (NRLT) provides outreach, education, facilitation and implementation services to landowners with an interest in conserving rural land and its associated natural and/or cultural resources. We have a particular focus on the New River region, although over the years we have worked with people out of state and in many Virginia counties. 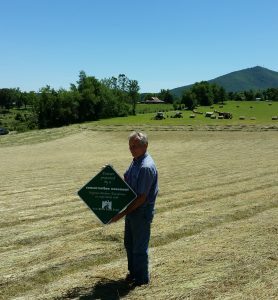 Tom Douthat on his conserved farm in Pulaski County. These are just a few examples. Please do not hesitate to contact us even if the above list does not appear to fit your circumstances. We will try our best to find something that does fit.